Discover and climb to the top of the world-famous Arc de Triomphe and learn everything about this must-see monument in Paris. Book now on Globol! Meet your guide and follow him to discover the Arc of Triumph, in the middle of the square Place de l'Étoile, one of the most famous in Paris. Built well before the Paris' famous Eiffel Tower after the Battle of Austerlitz, the Arc de Triomphe celebrates the victory of Napoleon I's Grande Armée. 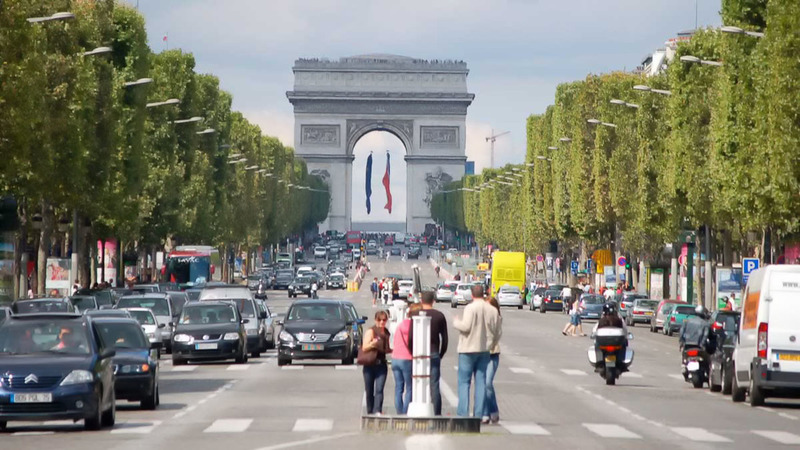 Almost 50 metres high, 45 metres long and 22 metres wide, you can get fabulous views from the top down the Champs Elysees, to the Eiffel Tower. Your guide will also show you the tomb of the unknown soldier buried underneath the arch with its eternal flame. 156 Avenue des Champs Elysées Paris. Meet your Guide at the Intersection of Avenue des Champs Elysées and Place de l'étoile at the Bus Stop "Les Cars Rouges ". Your Guide will have a sign for "Universal tour Guide".